There’s been a bunch of articles about an upcoming series of seminars planned for a number of venues in Australia. These seminars feature well known anti-vaccination osteopath Sherri Tenpenny, author of Saying No to Vaccines. You can read some highlights from her here on Reasonable Hank’s blog. She’s the headline act, along with Norma Erikson, president of anti-vaccine group SaneVax. The seminars appear to be being run by Stephanie Messenger, who authored a (pretty terrible) book called Melanie’s Marvellous Measles. I have started, stopped, rewritten, deleted, restarted and pondered over writing something slightly more substantial on this topic. I’m going around in circles. You see, I don’t think the majority of parents who choose not vaccinate are bad parents. Not at all. I think they are no different to any other parent who wants to do the best they can for their kids. I don’t think anyone is crazy for doing research before deciding to vaccinate or not. But I am in favour of vaccination after lots of reading and discussion and I make no apologies for that. For every bit of “evidence” I have seen (and, as this is a topic I’m really interested in, I’ve seen quite a lot) that claims to show vaccines as dangerous/poisonous/deadly/autism-inducing/etc I have been able to easily find multiple scientific studies that refute these claims. These studies and their results are generally widely available online, so parents that aren’t vaccinating have access to the exact same information that I do- how is it that we are coming to such different conclusions? 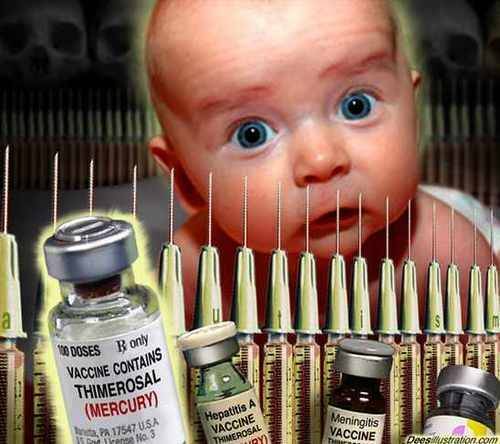 Anti-vaccine proponents seem to use a convincing mixture of emotive imagery (think giant syringes super-imposed over images of crying, isolated babies- see below), anecdotes and half-truths put together convincingly, often citing outdated or flawed studies or quoting doctors- but failing to mention certain salient facts- case in point is widely quoted anti-vaccination (among other things) proponent Dr Viera Screibner who is indeed a retired doctor- in the field of micro-paleontology , which, to my mind, should make her medical advice suspect at best-and I’m thankfully not alone in my thinking there. 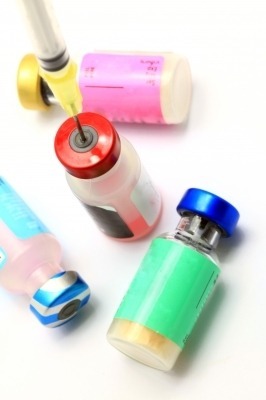 The half truths are horrifying and alarmist if taken at face value- “vaccines contain cells from aborted babies”, “vaccines contain toxic substances like mercury and aluminium” to name a couple of the more prevalent examples. Both these statements appear to be designed to instill fear and horror in the reader, but fail to elaborate with explanations of cell lines or the amount of certain chemicals used in vaccines versus the exposure we have to them in our daily life– it is, as I understand it, the dose that makes the poison, after all. Science has shown us that the risk from vaccines is less than the risk posed by vaccine preventable illnesses. So why are people making claims that these illnesses are either not harmful or actually beneficial? These are more often than not people with no medical training and non-scientific backgrounds, who are making public unfounded and incorrect statements that often target new parents seeking information regarding their babies- it’s despicable. People that vaccinate are often ridiculed in these online anti-vaccine discussions. 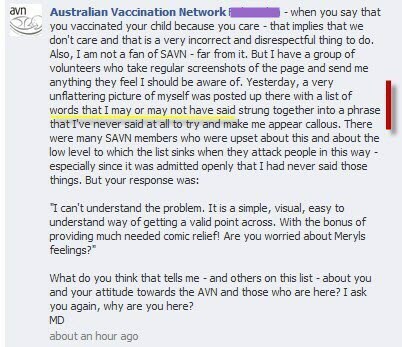 The Australian Vaccination Network (aka the AVN- pending name change) refers to pro-vaccinators as “septics” (apparently as a play on the word “sceptics”). I have seen the (made-up) word “sheeple” used quite a lot. There are more extreme and offensive examples I won’t repeat here. That’s not to say it doesn’t get heated on the pro-vaccination side. Both groups do get extremely frustrated with one another, I’m not denying it. But the difference seems to be that the pro-vaccination advocates are a moderate bunch. 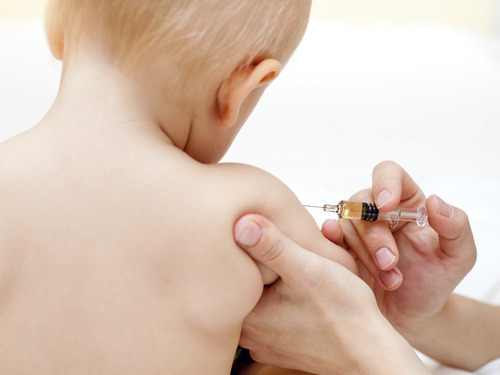 All they want is for vaccine scaremongering to end, to make sure as many people as possible are vaccinated and protected from disease and for the herd immunity this creates to offer as much protection as possible to those who, for medical reasons, cannot get vaccinated as well as those with compromised immune systems and those to young to receive vaccinations. I’ve yet to encounter an “extreme vaccinator” either in real life or online- someone who, I imagine, immunises at all costs, is vaccinated with every possible vaccine and who has many wild theories on why everyone should vaccinate. Pro-vaccine proponents seem to just be people who recognise the protection vaccines offer and take full advantage of them while encouraging others to do the same. In the anti-vaccination camp, there is a bit more variety. There are those that are happy to just not vaccinate as they believe it might be unsafe. Further along the spectrum are those that believe vaccines actively cause disorders and disease. Only a hop, skip and a jump away, you have those that believe vaccines are loaded with diseases, chips and who knows what else. The conspiracies run from the biblical to the alien or reptilian and the generally absurd. Both sides of the issue are screaming at the other to do their research. This statement is alarmist, misleading and offensive- I don’t think any more needs to be said about it. It is actually NOT a fact- at all. Go and speak to a HIV patient suffering pneumonia, for one example. This statement clearly falls into the category of the ridiculous. What?? Does this come under their “mandate to provide scientifically-sourced information”? I’d love to see their scientific source for this claim. These are just three examples and there are many, many more. It should also be noted that Ms Dorey does not hold any medical qualifications. She has come under fire for suggesting people contact the family of a deceased child to ask their vaccination status, she has blamed vaccination for conditions such as the ebola virus and is a firm proponent of the (many times disproven) autism/vaccine “link”. I could go on with many more examples of things Ms Dorey has come out with. She is no longer president, but still active with the AVN. Her replacement, Greg Beattie, holds the same views, claiming vaccines are not effective, advising parents to go to “less mainstream” health workers and to read a book to become more educated than doctors on vaccines (perhaps one of his- he’s written two to espouse his beliefs). In the case of this group, I believe full transparency should be enforced. All contributors to their websites and publications should list their names, their qualifications and their sources. If they reference a study, the full study should be made available, as well pertinent information about the study- such as- is it current or superseded? Their mission statement should be clear- their mission is not to present a balance of information- it is to convince you NOT to vaccinate. 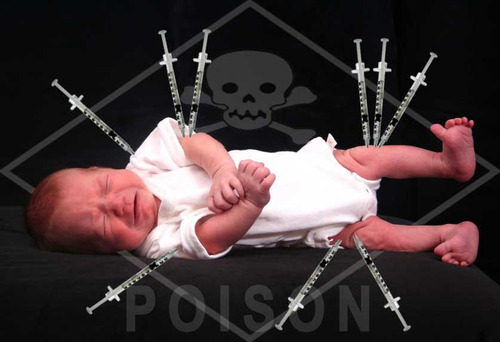 The gallery of what they call vaccine injured children on their website- frankly, I find this upsetting, but if they MUST have this on their sites, then I feel they MUST provide evidence- as it is, it is appealing to parents on an emotional, fear-based level. I’m not denying vaccine injuries are possible- but they are rare, and should not be exploited for the sake of the anti-vaccine agenda. They should show credible evidence and real data showing the incidence of these types of severe adverse events- in the interest of the balance they claim to represent. In response to the outrageous claims and actions of the AVN, since 2009, facebook based group Stop the AVN has campaigned to counter the claims made by the AVN as well as to hold the AVN to account for spreading dangerous misinformation. The AVN endorse utilising homeopathy and chiropractic as well as other remedies in place of vaccines, and it should be noted that the governing body for chiropractors in Australia has ordered chiros to stop disseminating anti-vaccination advice and information and that even the British Homeopathic Association does not endorse homeopathic vaccine alternatives. If you are reading this and wondering if you should vaccinate- don’t take my word for it. I’m not a doctor. But neither are those running the AVN and similar groups. My advice is to look long and hard at where you are getting your information from and what form it takes. Is there evidence to show efficacy and safety- or is it just anecdotes like “My neighbours cousin was vaccinated and he got autism”? Is it just correlation? Like “I ate a potato then started coughing and sneezing, therefore, the potato gave me a cold”. Is it backed by scientific study? Does it make logical sense? Is it coming from someone with relevant qualifications? Like a doctor or medical specialist or someone with a background in immunology, for example. Or is it coming from someone with no formal training who simply claims a brain is qualification enough? Disclaimer: I do not work for “Big Pharma” or any pharmaceutical company (though I worked for a year in a pharmacy as a retail assistant 12 years ago). I do not work in a medical or scientific field, not do I claim to hold any such qualifications. I am just a mother who has read lots and lots of information on vaccination who is scared by the decrease in vaccination rates, especially having a baby too young to be fully vaccinated yet.